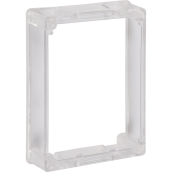 These indoor/outdoor polycarbonate covers protect devices such as dual action pull stations without restricting legitimate operation. 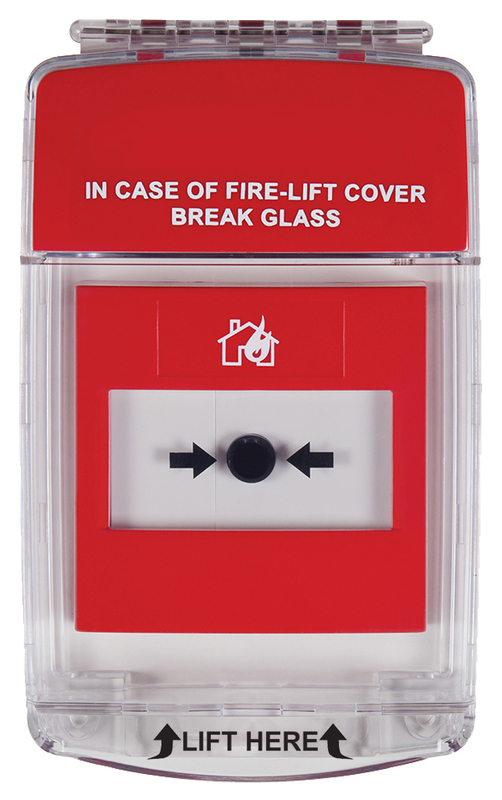 The versatile cover offers excellent protection against physical damage (both accidental and intentional), dust and grime as well as severe environments inside and out. 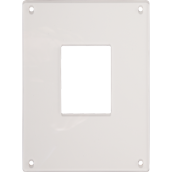 Cover options: cover with or without horn, flush mount, surface mount or waterproof back box models. Maximum protrusion is 4 inches deep. Activating the Sounder Are the Covers Tough? See where to buy page. 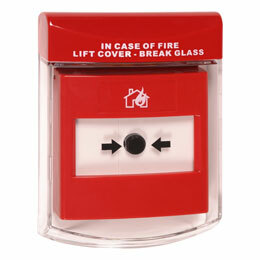 Polycarbonate cover protects indoor/outdoor devices. 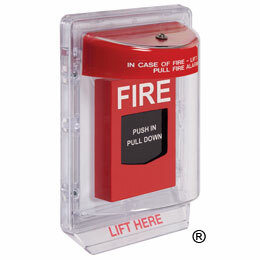 Sized to fit most pull stations. Cover is low profile (less than 4 inches). 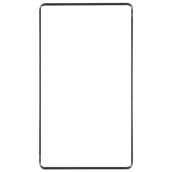 Cover is molded from thick, tough polycarbonate material. Cover is UV-stabilized to keep cover clear. 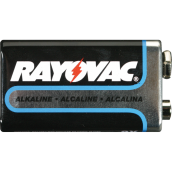 Optional relay output with 12-24 VDC power input. 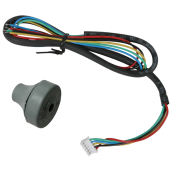 Available with or without 105 dB horn. 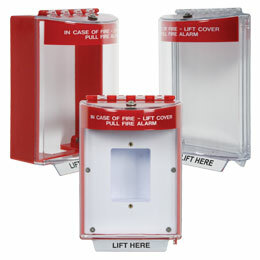 Flush frame, surface frame or waterproof back box (with sealed or open internal mounting plate), enclosed flush back box. 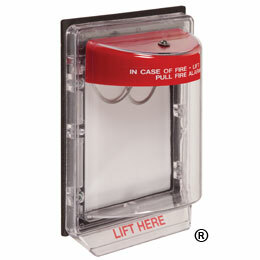 Locking tab (not for use with fire pull stations). 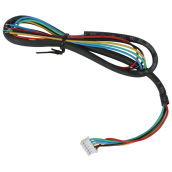 Available with red, green, blue, yellow, white or black label hood/horn housing with custom or no label. 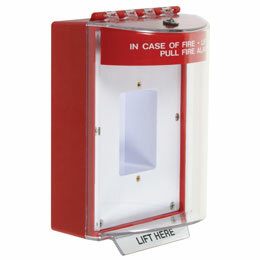 Units have “In Case of Fire…” label. 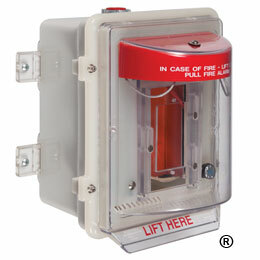 Protects pull stations, keypads, intercom stations, emergency buttons, electrical light switches or duplex plugs. *Approvals vary by model. See data sheets. Is this model available with a UL listing? contact sales for details. We love hearing from our customers about how STI products met their challenges.